Description: Red rectangular mailbox with a rounded top. 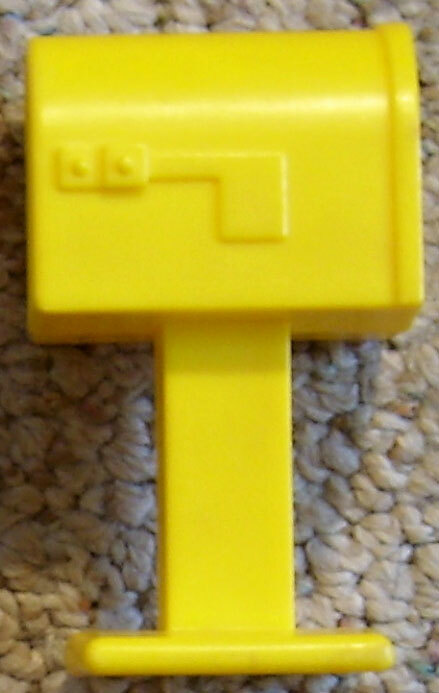 The mailbox is supported by a squared post with a flat square base. 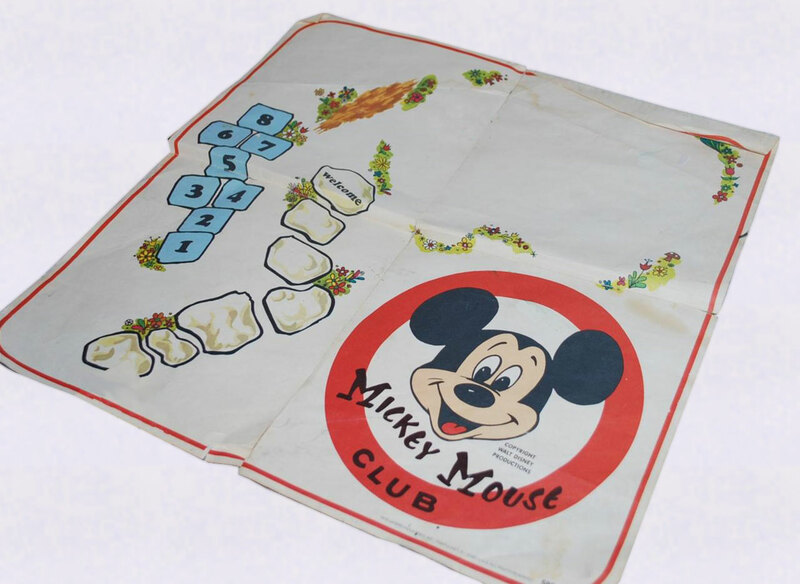 One side of the mailbox has a molded-in mailflag, other side has raised molded wording marked "M. Mouse Club". Description: Yellow rectangular mailbox with a rounded top. The mailbox is supported by a squared post with a flat square base. 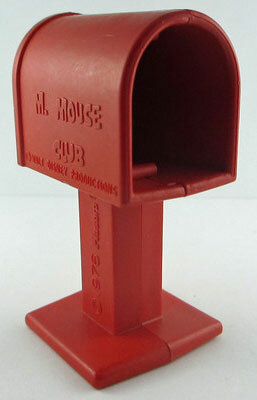 One side of the mailbox has a molded-in mailflag, other side has raised molded wording marked "M. Mouse Club". Item: Fan Letter: "Skippy Lodis, Sunnydale, KY"
Description: Small rectangular white thin cardboard letters with black address writing and a black stamp in the upper right corner.Has a small round black stamp with a Mickey-Mouse face/ears in the center. Letter addressed to "Mickey Mouse Club, Disneyworld". Return address: "Skippy Lodis, Sunnydale, KY". 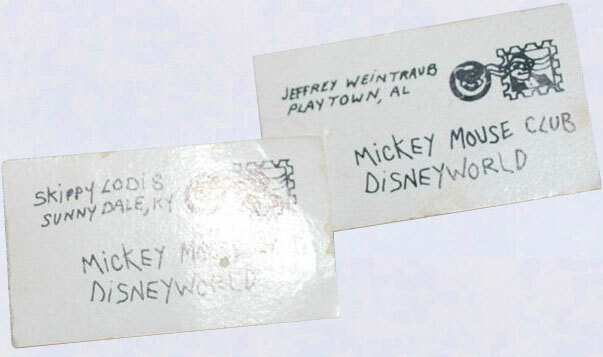 Item: Fan Letter: "Jeffrey Weintraub, Playtown, AL"
Description: Small rectangular white thin cardboard letters with black address writing and a black stamp in the upper right corner.Has a small round black stamp with a Mickey-Mouse face/ears in the center. Letter addressed to "Mickey Mouse Club, Disneyworld". Return address: "Jeffrey Weintraub, Playtown, AL".